Book by May 31 to get early-bird rates! 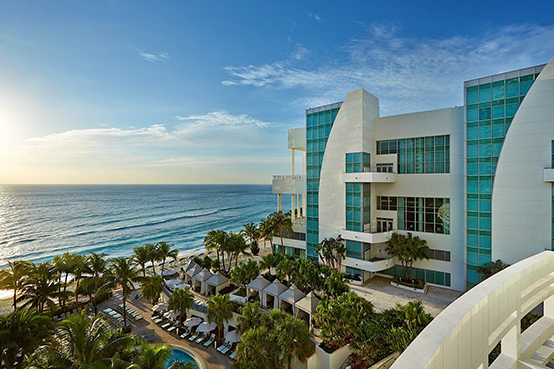 Get early-bird rates – starting at US$299 – in the Diplomat Beach Resort's Phocuswright Conference room block through May 31, 2019. After the May 31 deadline, room rates will start at $329. Rates are exclusive of taxes and fees. Rooms in the conference block include Wi-Fi and Fitness Center Access*. A valid conference registration is required to reserve a room at the attendee rate in the conference room block. A deposit of two nights' room and tax is required at the time of booking to confirm your reservation. Cancellations made after October 11, 2019, will forfeit two nights’ room and tax deposit. The resort fee of $35 per night will be waived for rooms reserved in the Phocuswright Conference block*. Hotel booking instructions are provided with your conference registration confirmation. Get your ticket now. Corner suites are also available – learn more. The $35 per night resort fee will be waived for rooms booked in the Phocuswright Conference block. Guest rooms reserved in the conference block include Wi-Fi and Fitness Center Access.